1. A set of six wire clips so you'll feel a little happier when you have to deal with those less-than-interesting reports and files. Get the pack of six on Amazon for $6 (also available in black and gold). 2. A gorgeous marbleized blue and gold glitter mouse pad that looks like it was sliced out of a mystical stone. Get it from WillowandFoxCo on Etsy for $11.99. 3. And a gold-accented mouse because work's easier to do if everything that surrounds you appeals to your glamorous side. This quiet-click mouse has a little receiver you slide into the USB slot, making it compatible with any computer with one of those ports (which is pretty much everything except some MacBook Pros). BTW, the ball in the middle isn't really a ball — it just scrolls up and down. 4. A rose gold Post-It dispenser so even your afternoon to-do lists feel extra fabulous. The pink pad's included, natch. 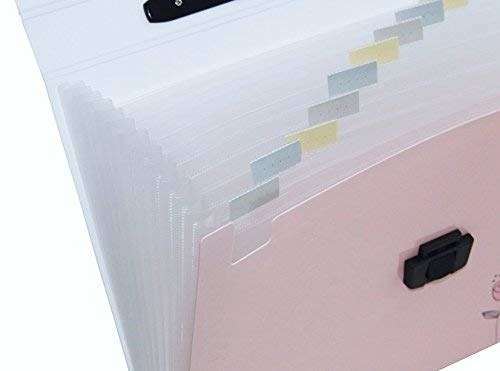 It works best with the accordion-style Post-Its; you can get a pack of five refill pads for $6.99 (or six pretty off-brand pastel ones for $9.90). Promising review: "Adds a nice blingy touch to my desk at work and perfectly matches with my iPhone (which I now have in a stand next to it). This has a good bit of weight too so it's good for holding down papers." —D.B. Get it on Amazon for $9.43. 5. 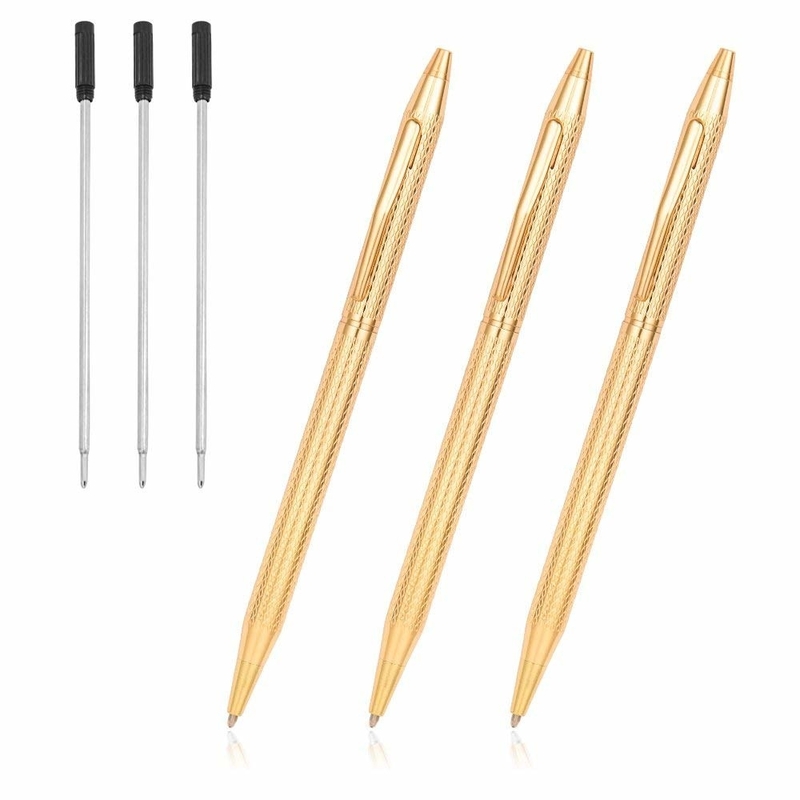 A set of three "diamond"-crowned pens to make every note you take positively regal. Get the pack of three on Amazon for $8.99. 6. 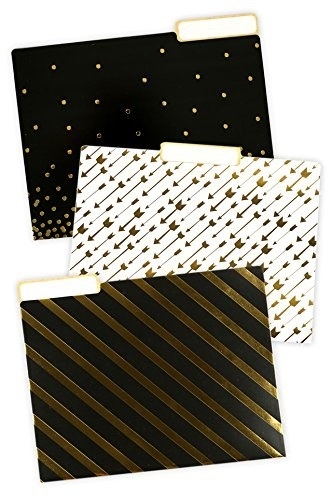 A pack of 12 red-carpet worthy file folders perfect for corralling all of those piles of papers. They're conventional letter-size, which means any 8.5x11" paper will fit nicely. Get the pack of 12 on Amazon for $10.64. 7. 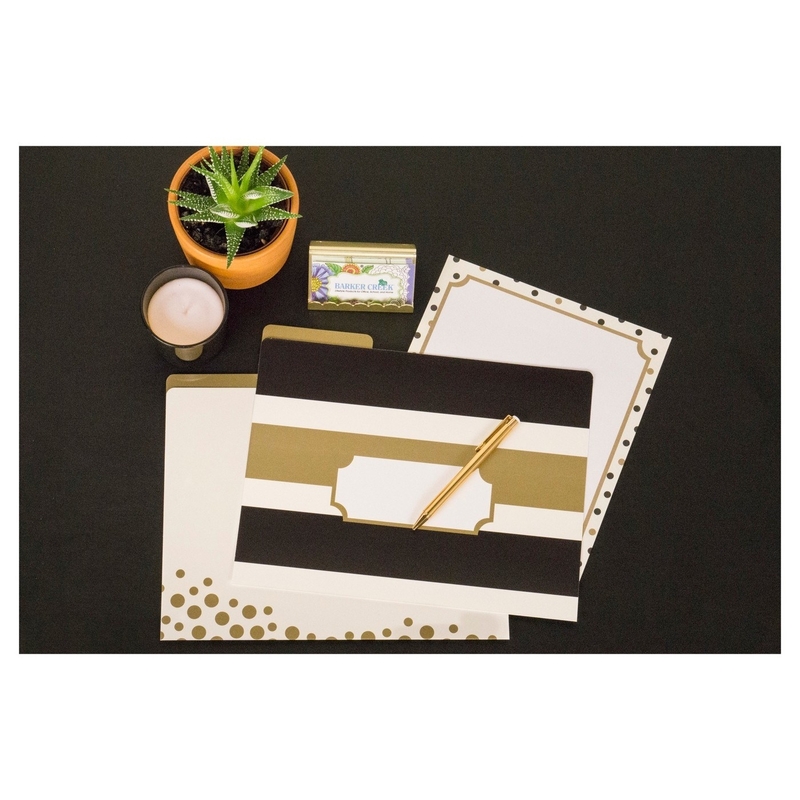 Or 12 striped and dotted folders with brushed metallic gold accents that still make a statement, but a (slightly) more subtle one. Get the set from Amazon or Target for $11.99. 8. And a pack of eight coordinating pencils so lovely no one would dare sneak off with one; you'd be able to spot your treasured utensil from a mile away. Get them on Amazon for $8.99. 9. A mini bunny humidifier who's equal parts cute and Vogue-worthy, and who just wants to help you cope with your office's desert-like atmosphere. Get it on Amazon for $15.89. 10. A faceted copper tape dispenser both beautiful enough to coordinate with all your other metallic bling and functional enough that you'll actually be able to use it. Unlike purely decorative dispensers, the bottom's weighted so you can pull off a piece of tape one-handed (a surprisingly important feature!). Plus it comes with one roll of tape already. Get it on Amazon for $9.22. 11. 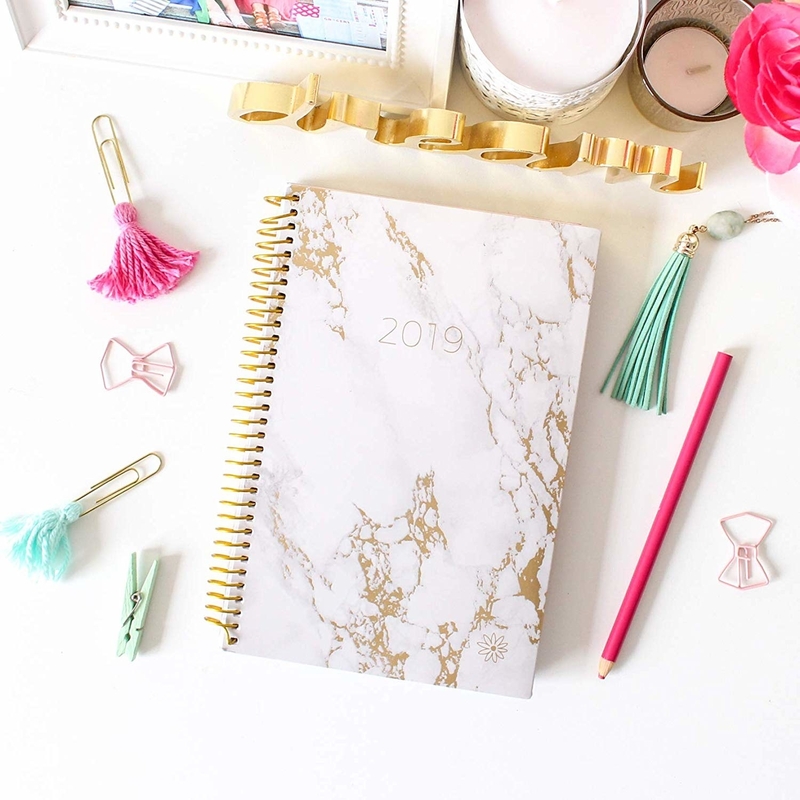 A faux-marble dispenser filled with gold paperclips that will make at least one corner of your slightly blah cubicle look chic. FYI it works best with small/"regular" paperclips, and not really with the bigger sizes. Get it on Amazon for $10.98, and a refill pack of 400 gold paperclips for $8.69. 12. A shiny stapler — putting the finishing touch on the weekly meeting agendas has never felt so sophisticated. Psst...also grab four boxes of rose gold staples for $9.98. Get it on Amazon for $13.60. 13. 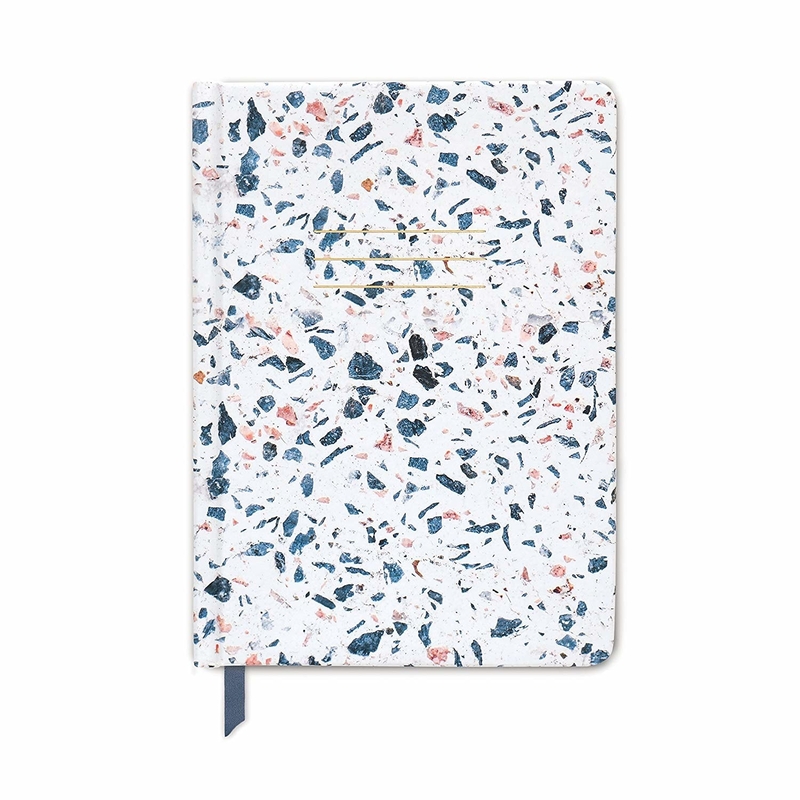 A terrazzo or two-tone notebook so you can document each and every one of your marvelous ideas. 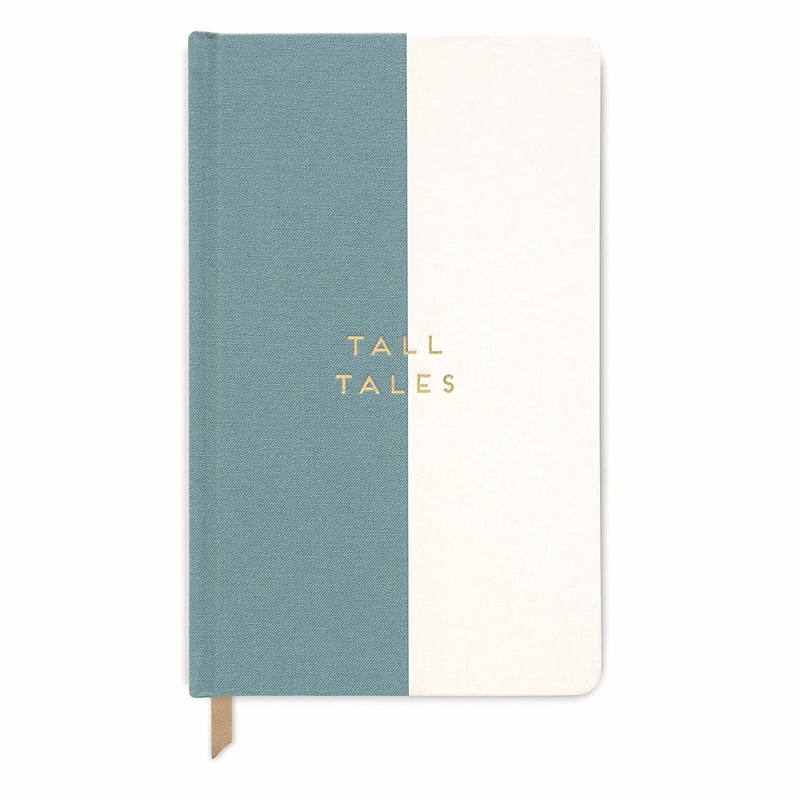 The terrazzo has a soft-touch cover, and the Tall Tales has a half soft-touch, half fabric cover; each notebook is 160 pages and printed with soy based ink. Get them on Amazon: the terrazzo for $10 and the two-tone Tall Tales for $12.15. 14. A protective Macbook case all your friends will "ooh" and "ahhh" over. Or an Instagram influencer's bedroom. The case simply snaps on, and the bottom half of the case has two rows of vents so your computer won't overheat. It also comes with a screen protector and a keyboard cover: three things for the price of one! Some reviewers note it chips over time, but that for the price, that's what they expect and don't mind re-buying. Get one on Amazon: compatible with the 12-inch new Macbooks for $13.99, and compatible with the 13-inch "old" Macbook Airs for $15.39. 15. Or a terrazzo vinyl skin because three of those friends already have a marble case, and you want something a little different, but still v. luxe. Get it from TalkandTell on Etsy for $13.39. 16. A pair of rose gold scissors that don't sacrifice quality for style — their 3.5-inch stainless steel blades will stay sharp through countless opened packages and assembled presentation boards. Get them on Amazon for $13.75 (also available in gold. Or, for a little bit more, you can get similar, also well-reviewed rose gold scissors with a limited five-year warranty for $14.44). 17. 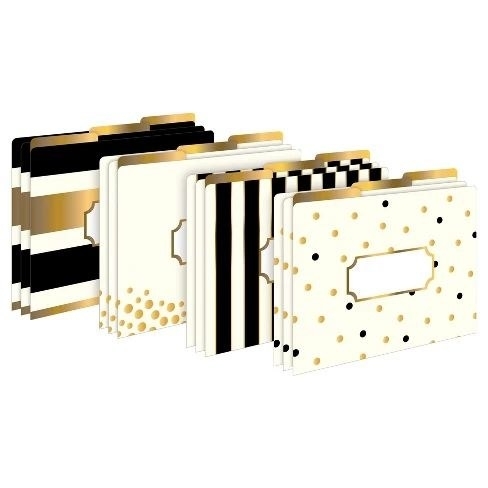 A set of stickies inspired by the most opulent Italian architecture Venice has to offer. Get it on Amazon for $14.89. 18. A pair of mini agate bookends because if anything deserves a fancy accessory in your office, it's your favorite books. Get them from RoyalSuzieJewelry on Etsy for $25+ (five colors available in four sizes). 19. A literal tub of bright gold binder clips with ~superior holding power~ so you can glam up your files without worrying the papers will cascade everywhere. Get the tub of 30 (six medium, 12 small and 12 mini) on Amazon for $3.99 as an add-on. 20. A five-piece organizer set in rose gold wire for that minimalist-meets-glam mood. You get a letter sorter, a paper tray, a sticky note tray, a pencil holder, and a bigger file basket (although one reviewer points out it doesn't fit regular hanging files) all at once! Also, some reviewers use and love it, or at least certain pieces of it, to organize the makeup on their vanity. Get it on Amazon for $22.99 (also available in silver, white, or matte black). 21. A set of faux-leather, marble-look coasters so your iced coffee can have a designated throne of its own. Well, you probably don't need more than one coaster in an office setting, but you could take the rest of 'em home to enjoy! Get it on Amazon for $12.69. 22. 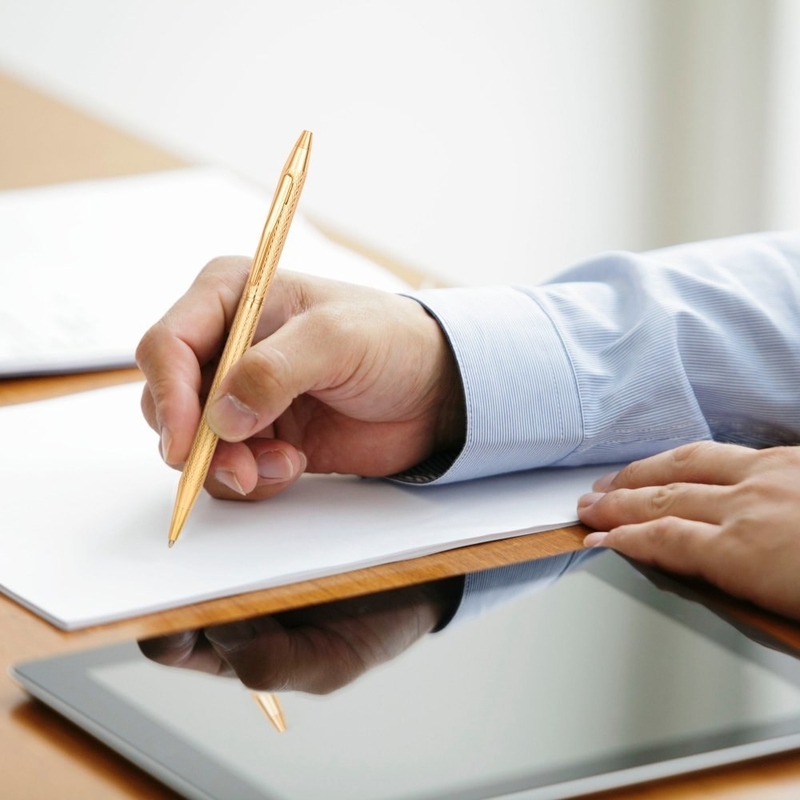 A set of three refillable ballpoint pens you'll reach for time and time again to elegantly record your thoughts. The writing tip retracts with a simple twist, and the clip means they can hook onto the front of a notebook page (or a shirt pocket, if you want). You'll be able to pay for these once and use 'em forever — they even come with a free ink refill, each. Get the pack of three on Amazon for $9.99. 23. And a pack of three timeless art deco notebooks that couldn't coordinate better if they tried. Get the three-pack on Amazon for $10.77. 24. 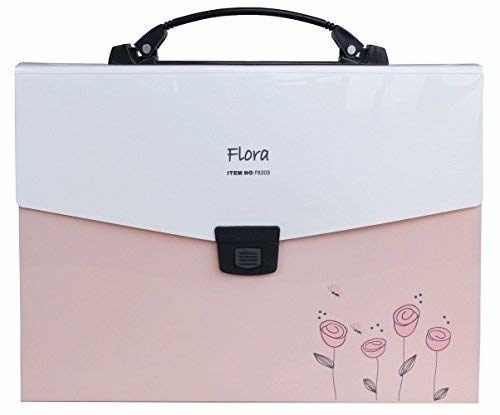 An expanding file folder that, while it can't make sorting important papers exciting, will at least make everything look nice. Get it on Amazon for $13.99+ (three colors). 25. A daily planner because there's nothing more valuable than your time, and this will help you keep track of it. Each month has a calendar spread with a place to write down your goals, plus a spread for each week. Several pages in the front of the book let you plan out your goals and aspirations for the year, so you can tap into the most inspiring part of your life — yourself! There's also space to record addresses, website logins, and important dates for the *next* year. Oh! And monthly tabs, for easy flippin'. 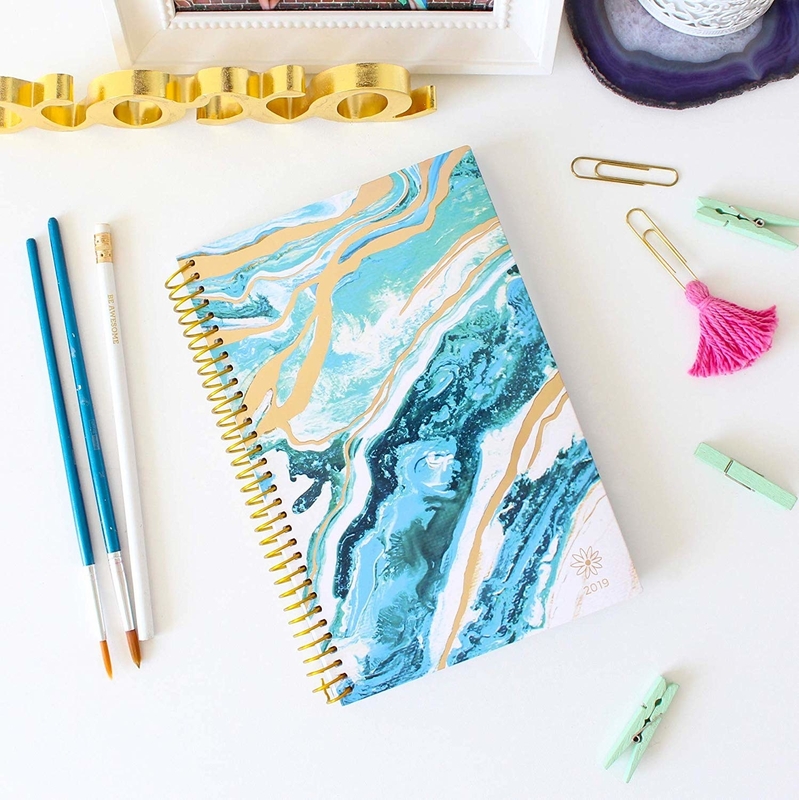 Get them on Amazon: the marble-cover for $16.95 or the geode for $12.95 — they also have DOZENS of other cover designs for $12.95+. 26. 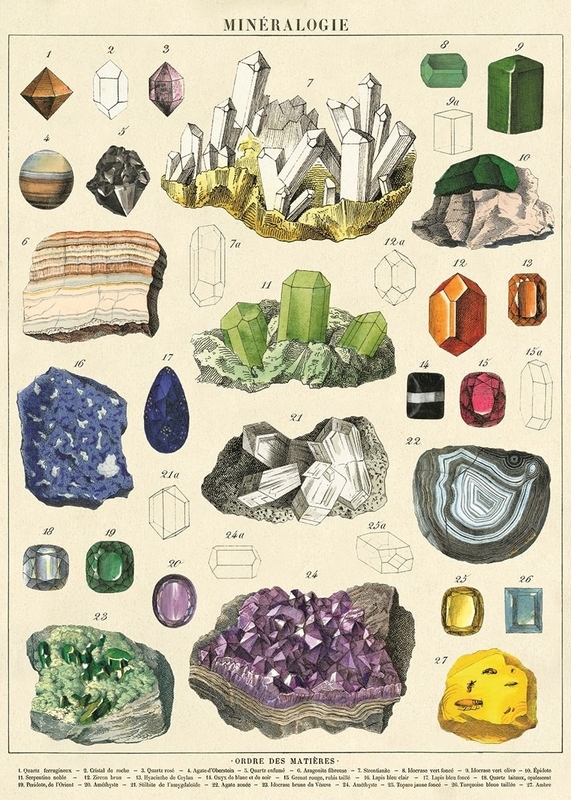 A minerals or wildflowers poster so you have something beautiful to gaze at when you take short eye breaks from staring at your monitor. 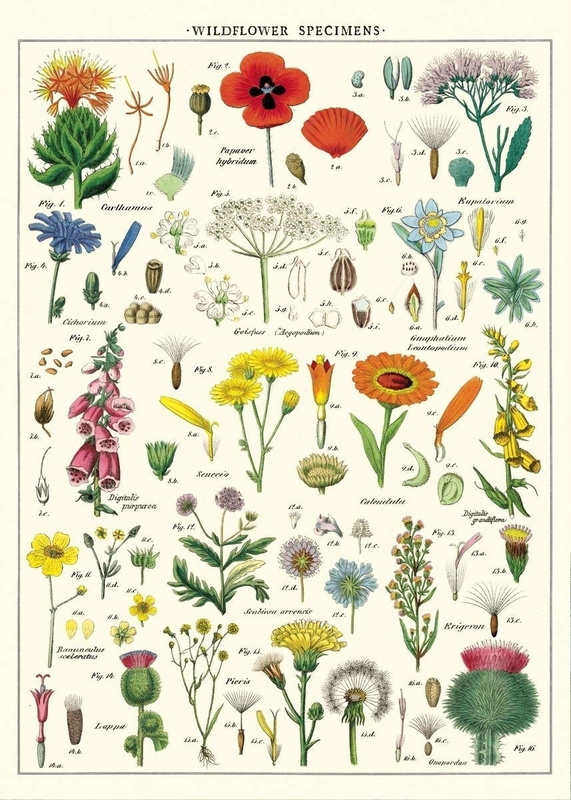 Get them from Amazon: the minerals for $8.18 and the wildflowers for $7.27. 27. This dry erase board because your office door or cubicle wall should 100% coordinate with all your new decor. Multiple reviewers note that the adhesive strips it comes with don't actually hold the frame up well — so you probably want to supplement with your own removable adhesive strips ($5.99 for 12 pairs from Target or Amazon). Love scoring the look for less? We've got you covered!